Prominent & Leading Manufacturer from Jagadhri, we offer bmc bulk milk cooler and stainless steel bulk milk cooler. Are you a dairy farmer? Is your business related to the milk industry? Do you often need to store a high quantity of milk? If so, you need bulk milk cooler to preserve milk in a hygienic manner with its nutrients. Milk is best when fresh chilled at the source and you can keep it the best by storing it at a proper place. This is why; you need a bulk milk cooler. Geeta Industries is a trusted name when it comes to manufacturing, and supplying a wide range of Bulk Milk Cooler in India. 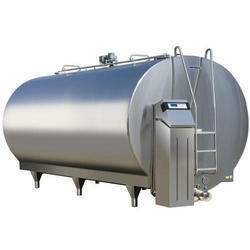 Our milk equipment ranges from 1000 litres to 10,000 litters. They feature to preserve the milk at the degrees of 4 Celsius. Thus, they can keep away all injurious bacteria and microorganisms that may contaminate the milk or destroy it. If you want to buy guaranteed and reliable bulk milk cooler, give us a call or schedule a meeting with us to get complete information about our bulk milk cooling equipment. 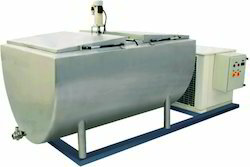 We are the leading supplier of Stainless Steel Bulk Milk Cooler made from high quality material at competitive prices. Looking for Bulk Milk Cooler ?